The Foreign Land Closest To America? Miami, Florida, to paraphrase Charles Dickens "Tale Of Two Cities", is the best of places and the worst of places. You will learn why on this website. In this largest of Florida's cities, I am known as an Anglo, as in Anglo-American. The town is overwhelmingly Latin. Latin people are warm and friendly, so I feel right at home there too. "Bienvenidos a Miami" they say. Welcome to Miami. 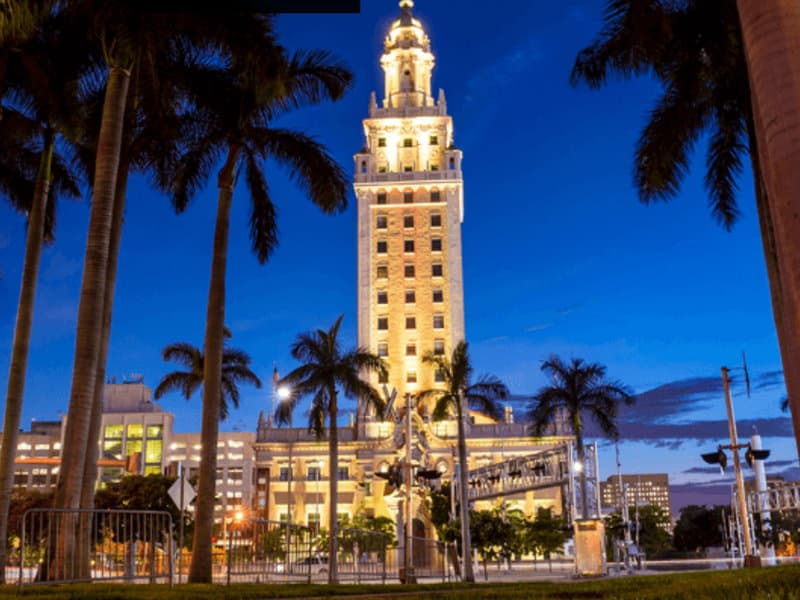 Find out what made this great city what it is today: read the history of Miami Florida. Miami is an exciting and dynamic place to live and visit, and has become a major international, financial and cultural center of the world. It is also easy to get to with many flights originating from all over the world. 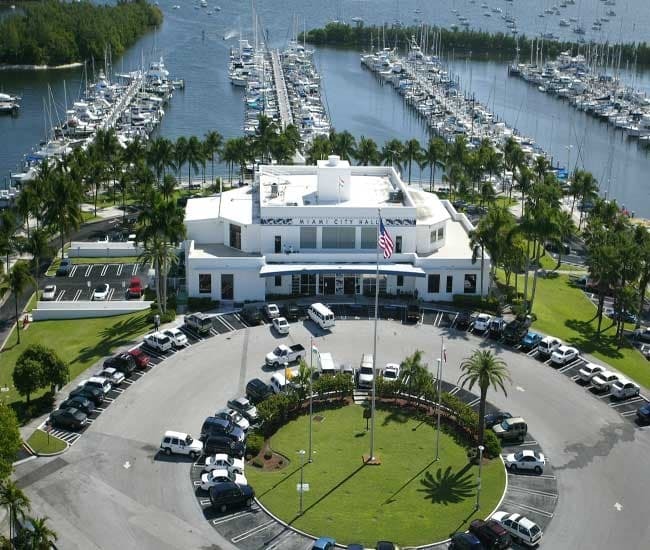 I have lived in Miami Florida on three separate occasions, including once at the marina pictured to the right. I enjoyed my time living in Miami with one exception: the traffic. It just seems to get worse every year. The first NFL football team in Florida, the Miami Dolphins, still performs on Sundays at what the locals still call Joe Robbie Stadium after the team founder. Coach Don Shula and many players from the famous undefeated and unequaled 1972 season still live in the Miami area. There is always something exciting going on. Many movies and television series are filmed there, and it's easy to bump into famous actors at various restaurants and taverns around the area. South Beach and Coconut Grove are great for star watching. 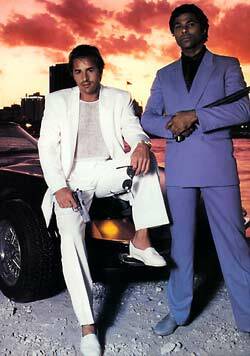 Miami Vice, with Don Johnson and Philip Michael Thomas as Miami vice detectives, was filmed here. Don's character, Sonny, lived aboard his sailboat at Miamarina, now next to Bayside Marketplace. CSI Miami and Burn Notice are two current series being filmed in town. CSI has some fantastic and beautiful aerial videography of the city, the best I've ever seen. I'm not crazy about all the violence and bodies, but the buildings are gorgeous. Another new TV series is Glades that is action packed and full of Miami scenes. The movie True Lies with Arnold Schwarzenegger and Jamie Lee Curtis was filmed here. The movie has some tremendous helicopter scenes along the Brickell area of Miami, and some great chase and blow up scenes. Sylvester Stallone and Madonna both lived in Coconut Grove, and Oprah Winfrey, Mel Brooks and other famous stars have made their homes on Star Island, Palm Island or Fisher Island off the MacArthur Causeway to Miami Beach. Even the real Al Capone, not the knockoff from the movie "Scarface", had a place on Palm Island back in the day. When movies are being made, local streets are sometimes shut off and the traffic gets even worse. Miamians don't seem to care, they think it's worth it. The typically tropical and balmy weather means there are always plenty of outdoor activities in Miami at any given time of the year. Miami Florida and its division of the South Florida Metropolitan Area has grown from about 300 people during Julia Tuttle's time in 1896 to more than 2.5 million people in 2010. The Miami hotel scene is constantly changing with new hotels being built and old ones being torn down. Check TripAdvisor.com for the latest ratings on hotels in the area. 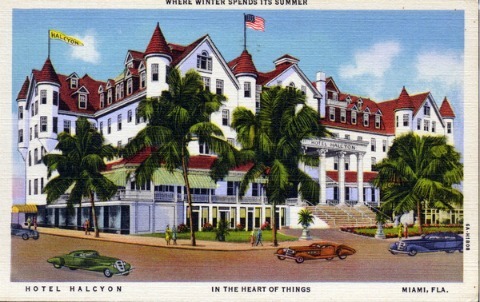 The Halcyon Hotel shown in the postcard below from the State Archives of Florida, used to be at Flagler and Second Avenue in downtown Miami. It was one of the busiest hotels in Miami in the 1910s and 1920s. It was torn down and replaced by the Alfred I DuPont Building in 1939, which is now on the National Register of Historic Places.